We are an architecture and interior design office, recognized nationally and internationally for the excellence of our projects and performances which combine quality, innovation and commitment. We continuously seek for the inspiration needed to overcome the hardness of forms and reach its full scope of experience. Focused on customized projects, we add the creativity and experience of our team to your expectations and needs. Our office shall consist of architects, engineers and designers in order to find solutions that combine personality, concept, convenience and a very good taste. More than a project, we add value to your property with a process that begins in identifying your needs and wills, going through design, harmonizing desires and realities, until the implementation and management of your job. All made with care, professionalism and proximity, to ensure your satisfaction. We understand that each work is the achievement of a dream, which must be done with attention, going beyond the project lines. So we put our passion and dedication in what we do, dealing with each customer as the “apple of the eye” of our office. In addition to take sighs at the end of the work, we expect to see a smile on your face, once it will ensure the pleasure of another mission accomplished, and not only the conclusion of a contract, but the beginning of a great partnership! In addition to customized projects, we offer the right balance between need and reality, flying from the simple to sophisticated, from trend to identity. What counts is the good taste and ideas applied to a concept that not only enhance the result, but the process and the relationship itselfs. We develop a realistic study of timing and costs so there are no surprises along the way. As the furniture of a room, each step is designed and fitted in its place, everything goes as it has to be, in a harmonious and balanced way. The result goes beyond the completed work and through a good experience during the work. We present all the necessary tools so you can feel confident when taking a decision and we care for all stages of the process, from hiring suppliers until the last frame on the wall. Thus, the participation of clients has the size of their availability and interest. All this is done with great care and competence so there is no waste of time or money. We understand that home or any space is not a product but a creation in constant evolution, adaptation and change, resulting from the interaction of people with the environment. So what we deliver is only the first step. We are always available. Mayra Lopes, graduated in 2005 at Belas Artes College in São Paulo, started her career working at many renowned offices, believing that only experience makes a complete and prepared executive. Always looking for challenges, in 2009 she was leader of Gugu program at Rede Record TV – “Sonhar mais um Sonho” (“Dream another Dream”) – challenged to design and renovate housing for low-income people, gathering social, economic and environmental aspects. 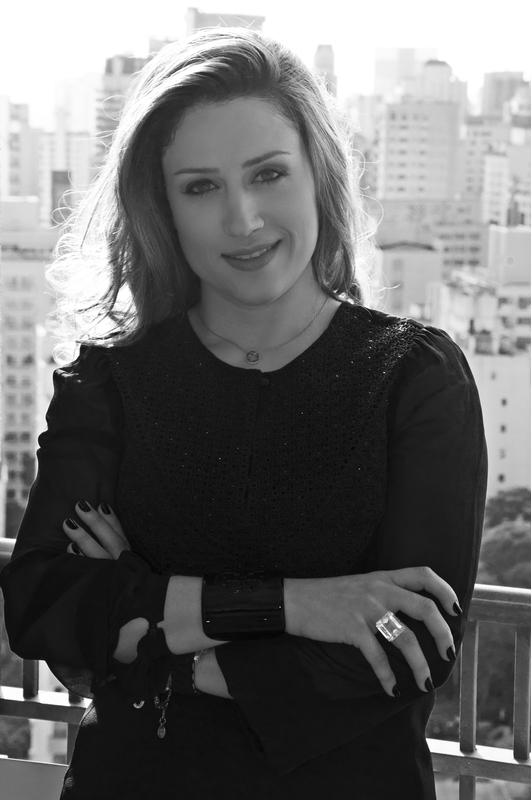 Since 2011 she leads MAYRA LOPES ARQUITETOS ASSOCIADOS office. She is passionate about what she does. She discovered in the profession your life mission: turn dreams into reality through the materialization of her projects.